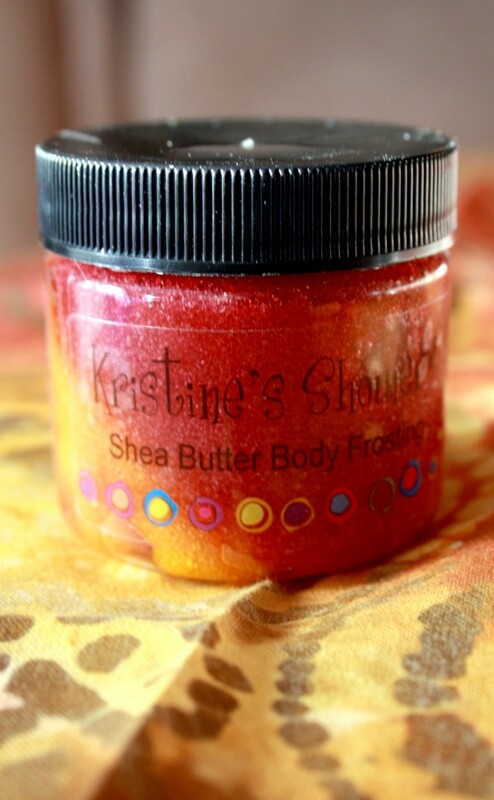 I contacted Jenny, the owner of Kristine's Shower, to discuss sampling her products. I love bath and body products, but I often find I can't afford the ones that are top of the line, with quality ingredients, and amazing scents. Since 2002, Jenny has been combining all three of these qualities and has produced, what I would say, are some of my favorite bath and body products I've ever tried! No joke. After I received her sample box yesterday, I took everything out one by one and smelled it. Then I continued smelling it. Then made my husband smell it. Then took it back to smell it again! Oh my goodness, her scents are absolutely perfect. They are not overpowering by any means, yet, I couldn't wait to give them a try! 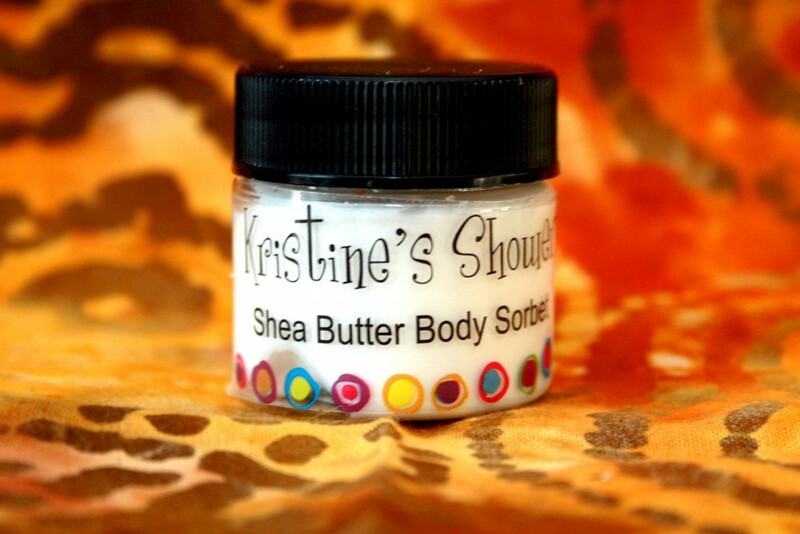 The first product I tried was her Splish Splash Shea Butter Body Sorbet. The scent was unbelievable. It almost smelled like a normal spray perfume that you'd spend quite a bit of money on. My husband threw in his two cents and said, "It smells like clean hott girl." I used some on my legs and arms, and my skin felt wonderful. Any hint of dryness disappeared without leaving my skin feeling greasy. Turns out you can use this product anywhere! "Use this from head to toe and we mean it too! Feel free to use it in your hair to tame flyaways and flakey scalp, face and neck for extra moisture, and all over your body." I'll have to give it a try in my hair sometime. My scalp gets pretty gnarly in the winter and can use all the help it can get! The next morning I took the Lavender Dreams 100% Soap bar into the shower along with the Appleberry Shea Butter Body Frosting. Once again, everything smelled marvelous. 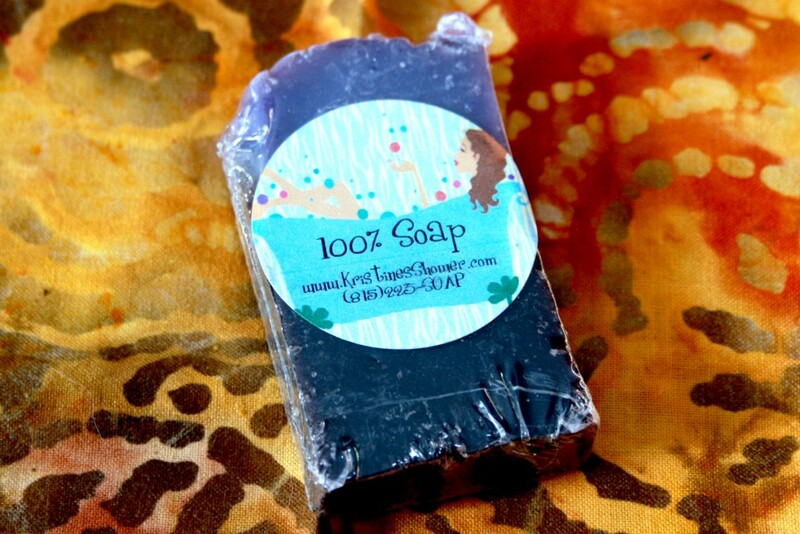 Her 100% soap bars are made in small batches to preserve the quality. I used one of those pouf things, and the lather the soap created was perfect. Not too much, but just enough to feel luxurious. I'm not usually a fan of bar soaps, but this I could definitely see purchasing. Then I used the Body Frosting. I had no idea what Body Frosting is. All I know is that the ingredients are pretty much all edible, and that it's like showering with candy... in the most awesomest way possible! She refers to her Body Frosting as a Sugar Scrub. It's gentle, but feels oh so good when using it, and afterwards, I can honestly say that was the softest my skin has ever felt. I used it on my arms, legs, and feet. 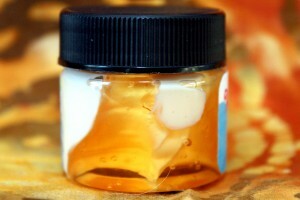 Jenny's site says, "Many customers have used it in their hair before shampooing for a shiny flake free head of hair. We have customers that like to exfoliate their legs after shaving, scrub their heels for softer feet, and other who like to use it as a face glow!" After showering I used the Citrus Safari Aloe Vera Body Whip. Let's just say I keep telling my husband to feel my arms. They are SO soft. 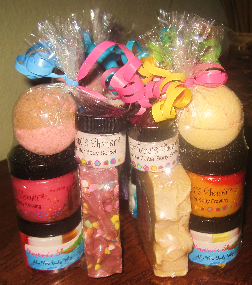 And, even with 3 scents piled on top of each other, I smell fabulous! 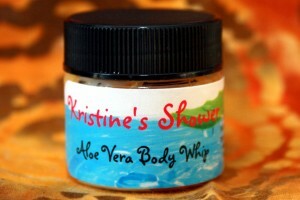 The Body Whip is great for anyone who spends a lot of time in the sun, or for anyone who has itchy skin in the winter. Jenny also sent me a Bath Bomb to try out. Unfortunately I live in one of those few old houses that doesn't have a tub, or even room for a tub. However, that too smells great, and if it's as good as her other products I did try, I can't imagine I'd be disappointed. 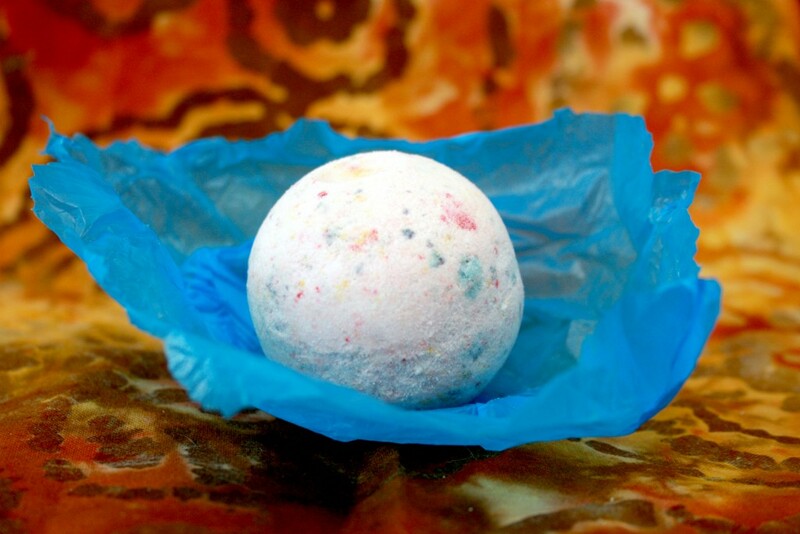 You're just supposed to throw the Bath Bomb into the tub and immerse yourself in the scent and moisturizing ingredients. Supposedly this works so well you don't even need lotion! Jenny would love for you to find her on Facebook, and Twitter! She has also offered what she calls the Giveaway Stacker for a prize! Someone very lucky is going to win everything in the photograph below! *I received this product for free to review. All opinions are 100% my own.